Archibald “Archie” Andrews debuted in Pep Comics #22 (published in December 1941). The following year, he got his own solo series which spawned dozens of spin-off titles. 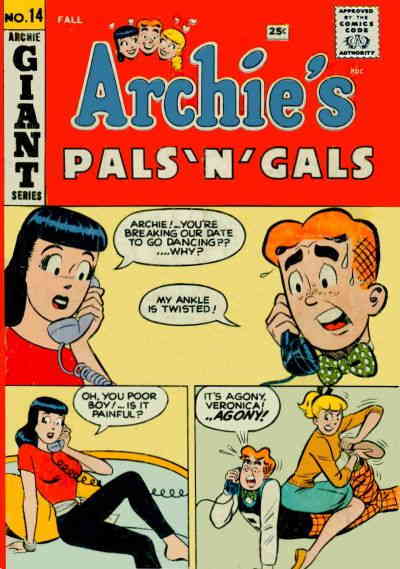 One of those spin-offs, Archie’s Pals ‘n’ Gals, debuted in 1952. 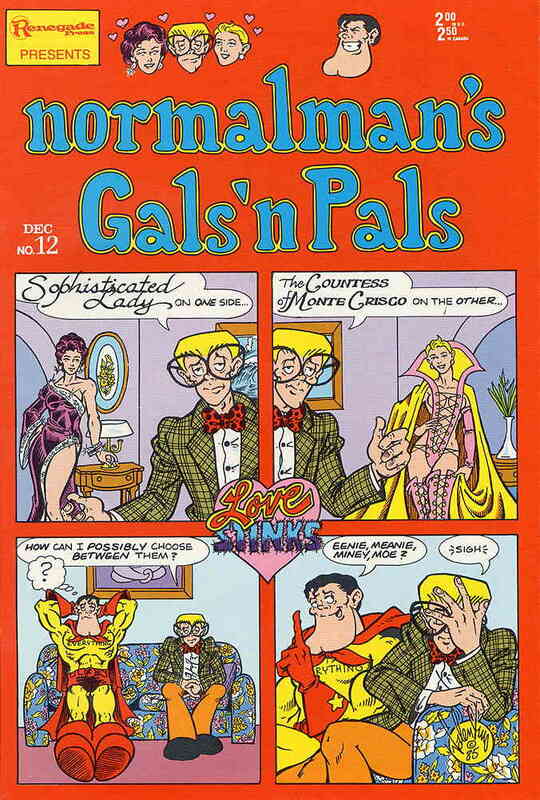 Issue #14 of this series was the first time they utilized a multiple panel strip on the cover. As you can see, this cover is certainly not a swipe but it does pay homage to the cover design. eBay’s comics marketplace has reached the second highest selection in terms of listings offered since I began tracking this data. 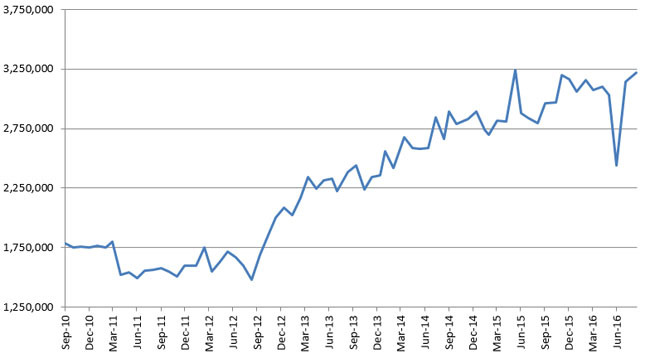 Atomic Avenue‘s total listings are continuing their climb. This month, their one year change is over a 10% gain. Comic Collector Live continues to see consistent growth in their user base although their number of stores continues to slowly drop. 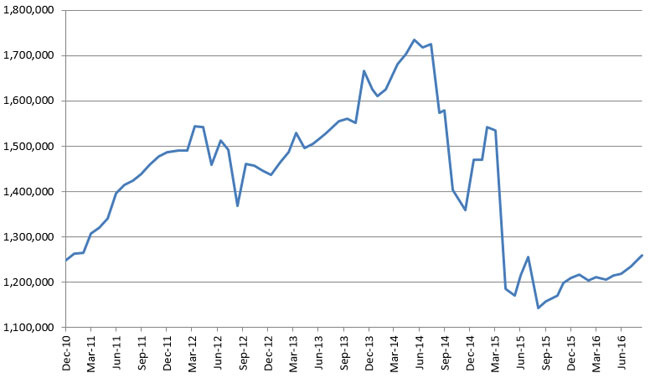 I’ve been tracking Amazon‘s collectibles marketplace for a year now. It’s first year’s growth in terms of number of listings is over 225% and growing quickly. HipComic is back in action! However, they took a more than 20% drop in their number of listings. Let’s hope that temporary shutdown doesn’t affect their validity as a marketplace. Bonanza put on some strong gains this month. 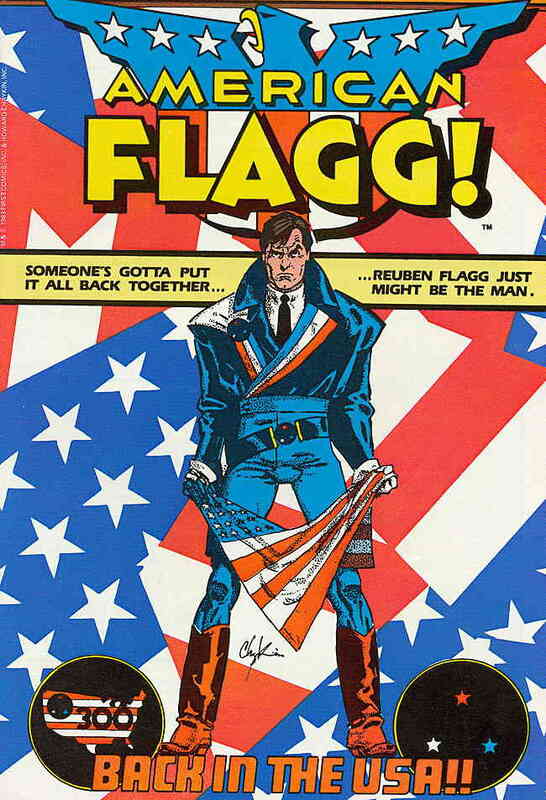 Howard Chaykin launched American Flagg in 1983. 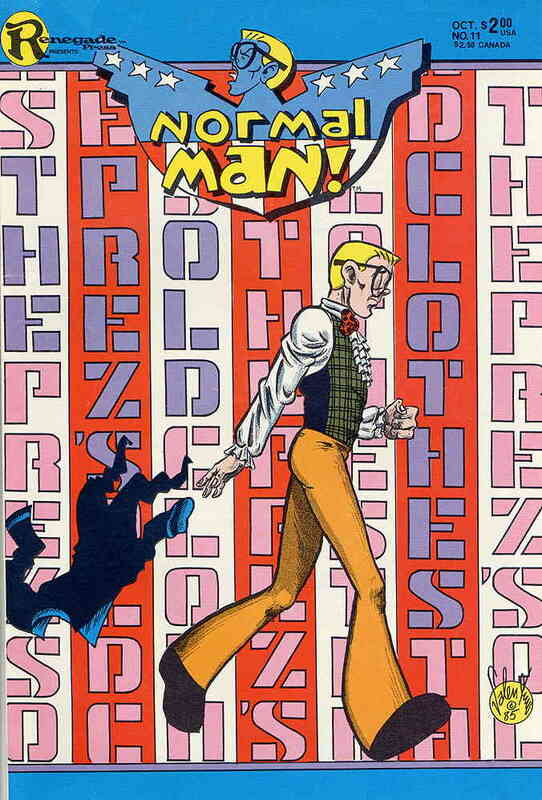 This creator-owned series that follows protagonist, Reuben Flagg, is a mix of science fiction and political satire.